Frost and decorate 1 cookie at a time. 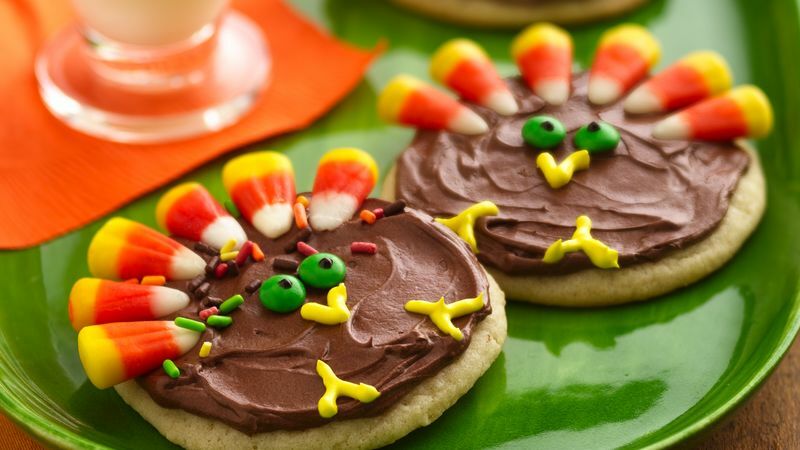 After spreading frosting on cookie, add candy corn for feathers. Pipe yellow icing for beak and feet. Add M&M's™ minis chocolate candies for eyes; pipe black gel for center of each eye. Supply the baked cookies and the decorations, and let the kids decorate the turkeys for fun.